A new national security aide to US Vice President Mike Pence stepped down on late Sunday, only two days after being officially named to the job, after a behind-the-scenes White House argument hit the headlines, a White House official said. The appointment of Jon Lerner to Pence's team was one of the more short-lived personnel moves in a White House known for turbulent staff turnover and infighting, and the first to envelope the vice president, who works hard to stay out of the drama. 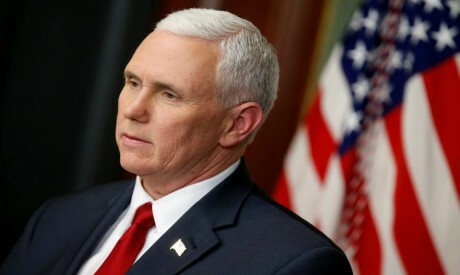 Pence's office had announced on Friday that Jon Lerner, a senior aide to United Nations Ambassador Nikki Haley, would become Pence's top adviser on foreign policy issues. By Sunday night, the vice president's office had issued a second statement that Lerner had withdrawn. President Donald Trump had been become upset, the White House official said, when he was told in error that Lerner was a so-called "Never Trumper" - a term that describes anti-Trump Republicans. Lerner had backed Republican Senator Marco Rubio during the primary race to pick the party's candidate ahead of the 2016 presidential election. Pence phoned Trump and cleared up the tension, the official said. But the short-lived drama became public on Sunday in a report by Axios which said that Trump had initially told his chief of staff John Kelly to axe the appointment and questioned why Pence would have made the pick. Lerner then offered to withdraw on Sunday night "to minimize the amount of conflict and internal drama," the White House official said, and Pence decided it was the best option.